What happens when a roma activist, meets an Albanian nerd on guitar, the king of drummers of Kosovo, roma of course, an Kosovan turk on bass and two Macedonian guys that has studied jazz in Austria on the horn section? 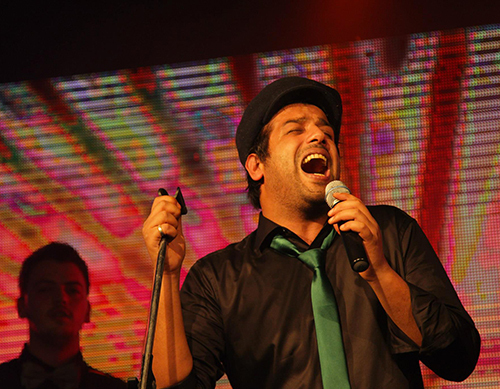 Their musical journey is the best you can get for your festivals and clubs. 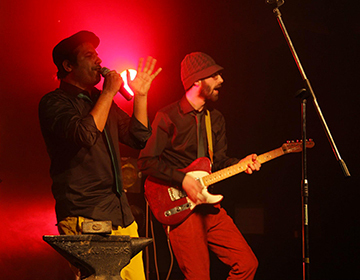 Throughout the history, music was important part of every culture, as a key instrument for the expression of different emotions. The songs were inviting to war, celebrating love, family, friendship, the successes and failures, sending the peace messages and providing civil resistance. 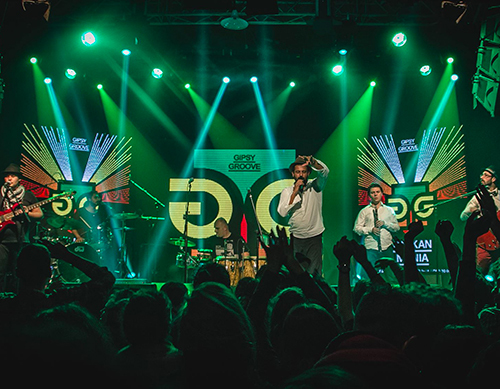 Gipsy Groove is for sure one of these bands that is sending the message of peace through their energetic performance and very deep and engaged lyrics. 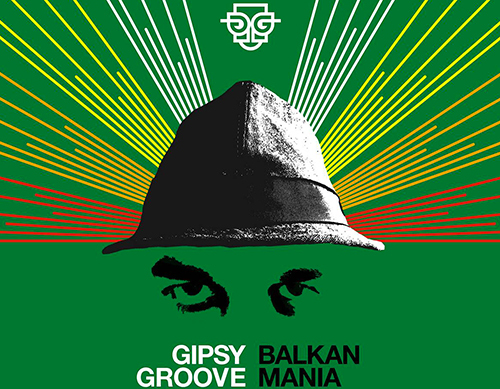 Gipsy Groove has progressed from an unknown band to a well-known one by becoming a part of the list of regular performers in Kosovo’s most frequented venues and events. The band has definitely achieved to break the prejudices people have, not only about Roma community, but they are also example on how people from the different background, coming from different communities can work and create together. They are very good in spreading the culture of peace even across Kosovo borders. They are perfect example that music doesn’t know the borders! The band has recorded their first album named Gipsy Groove in 2013 containing 8 songs, including their cover versions of well-known traditional Romani songs. 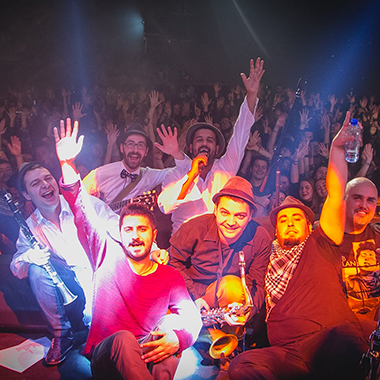 In December 2014 they published their second album named BalkanMania, with original songs, composed and arranged by the bend members. New songs are talking about freedom of movement, woman empowerment, love and rock and roll and are inviting your body to dancing till down. Management, booking, festival organisation, publishing, music production and more from over 15 years as leader agnecy in the world music business.